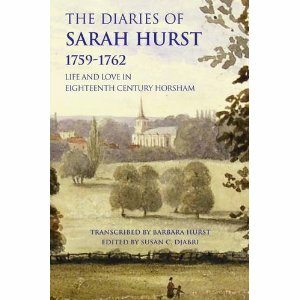 Sarah Hurst’s diaries reside in the Horsham Museum, but have been transcribed and printed. 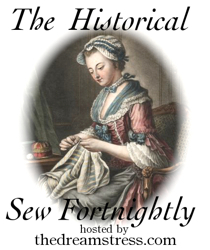 Sarah Hurst was born in 1736 and died in 1808, and was the eldest daughter of a tradesman. She began writing these diaries when she was 22 years old. Her father, Richard Hurst, had a tailor’s business in Horsham, West Sussex, in England, and it is from here that the diaries were primarily written. Sarah worked in her father’s business, serving customers in the shop, keeping his accounts, assisting with tailoring, and taking frequent journeys to London to restock the shop and to bank or invest the profits. She was often out walking around Horsham with her friends, and visiting people in the town environs. 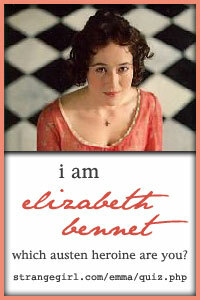 In her spare time she wrote poetry and essays, read various books, and did needlework and sewing. Sarah also managed to visit and stay for longer periods with her friends and family that lived in the nearby areas. 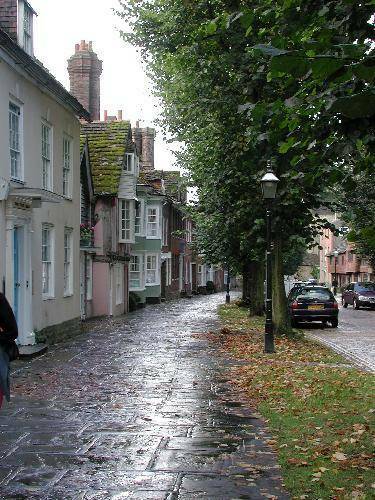 The Causeway in Horsham, where Sarah Hurst would often walk. Her love of reading and writing, as well as her intelligent reflections on the world, signify that she had received some sort of education. The diaries do not give specific information about this, but it is possible she was educated in a boarding school at Lewes or Brighton, or possibly went to school in Horsham. At the age of sixteen, Sarah had fallen in love with a Mr Henry Smith, who was a young marine in the navy. Throughout most of their relationship, he was serving in the Marine Corps during the Seven Years war against France, and steadily received promotions throughout his career. Sarah Hurst says in her diary that she carried on a “Clandestine Correspondence” with Henry Smith for an amazing seven years, until 1758, when she sought to put an end to it and told her father. He gave his “reluctant consent” for them to correspond and they wrote to each other until their marriage in 1762. The editor of this work writes that not many women’s diaries have survived from the eighteenth century, and even less works of writing have survived from the women of the middle classes in this era. For this reason, Sarah Hurst’s reflections and insights into life at this time are quite revealing. I found Sarah’s writing very insightful and intelligent. Whilst a fair proportion of the diaries relate simply to the things that she had done during the day, she frequently takes the opportunity to reflect on life around her. Above all, I was quite amazed by the fact that people’s natures remain much the same, regardless of the era in which they live and the type of clothes they wear! I also really love how reading someone’s personal letters or diaries enables you to hear their voice quite clearly, even though so much time separates you. Such personal writing ensures that their personality and passions are printed soundly on the paper you read from. I have reprinted a selection of quotes from Sarah Hurst’s diaries, grouped below according to topic. How trifling, how unimportantly, does my time pass away, I wish I had been a man I might then have signalis’d myself in the service of my Country, but now I must live and die in wretched obscurity. Read in Montaigne’s essays, he don’t approve of Women’s having a learned education, are our minds then not worth improving, these Lordly men will have it so. Montaigne thinks poetry a proper amusement for women, am glad he will allow us to do any thing besides spin and knit. How I love to hear the conversation of learned Men, what poor ignorant insignificant creatures are we Women but as we have no business but with domestic concerns ’tis thought of no consequence, yet I cannot help repining that I know no more. ‘Tis quite diverting to observe the different behaviour of the Country people, uncultivated by education, how are such generally despised and for what, their misfortune not fault. We all walk in the Park, then on the Causeway with Mrs Tredcroft, who says that trade people going to the Assembly at Brighthelmstone has spoilt it, for people of Quality don’t chuse to be in company with them. Certainly when they chuse their private friends it shou’d be those whose education and manners bear the nearest affinity to themselves, but objecting against meeting them in public is full as absurd as disliking to travel the same road or going by the same means to Heaven. Sure these sentiments cannot be call’d noble, that word implies a general complacence and diffusive Benevolence, which are peculiar [particular] Priviledges of Quality and a generous education, while on the contrary I shou’d imagine such confin’d notions cou’d only harbour in a Plebeian Soul. There is something irresistably engaging in a pretty face. I cannot wonder the men are so soon struck with it. External Beauty wou’d certainly be a very great blessing, were it not too often attended by self sufficiency and affectation. Very busy all day ironing, low Work for a person of my genius, ha ha ha, hence arises all the vanities and absurdities in Life. We fancy we ought to move in a higher sphere, and so despise the employments of our station; how truly laughable is this; The highest wisdom consists in performing contentedly the duties of our situation, self is a very dangerous thing and ought never to engross our attention for as often as it does, so often do we overrate our abilities, and imagine Fortune has been extreamly remiss in not rewarding them. The hardest lesson in the World is humility, the voluptuous shall become temperate, the miser generous, and the fickle constant before the proud are humble. I have more than the seeds of this fault in my disposition, and often think my rank in Life far below my merit, when most certainly ’tis far above them. How much perplexity attends love affairs of all kinds whether the Heart is engag’d or not, it takes away all the pleasure of that part of Life most capable of happiness, when health glows on the cheek and the spirits move in a brisk circulation. ‘Tis not without some reason that Libertines fear Matrimony, how few there are that behave well in that state. I am inclinable to think all those who disagree in marriage wou’d be equally faulty and unhappy in any other situation, ’tis a solemn alteration of circumstances and the consideration that it may be for the worse makes it more so. Mrs Bridger sends for us. We wait on her and play at cards. How trifling is this way of spending time, almost below the dignity of a rational creature, but our choice in amusements is as different as out places and indeed, if we reflect on our natural tendency to vice, ’tis well if they are only trifling, for alas they are too often criminal. Diaries are my cup of tea! I do agree with Sarah when she says of women in that era…’The highest wisdom consists in performing contentedly the duties of our situation’. To harbor ambitions above one’s station would have been excruciating! Yes, it would have been very disappointing! I was interested to read about her legacy though. After the death of her husband she managed to amass quite a deal of money (for a middle class woman! ), and because she had no children she left a lot of it to her younger brother. This wealth enabled him and his family to buy up property in Horsham which apparently had a great impact on that town during the nineteenth century. thank you i like diary of women very much and maybe do you know of other diaries of women ? I haven’t read many diaries of women, but I did really like the book by Antonia Fraser: The Weaker Vessel, which was about women in the seventeenth century. Another thing to search for is letters written by women, such as Jane Austen, Georgiana Duchess of Devonshire, etc… Google can be a great place to start! Could you tell me where i could read the letters of Georgiana Duchess of Devonshire? Hope you find these links useful.